Are you setting unattainable targets? It seems counterintuitive, but 95% of Chief Sales Officers (CSOs) reported higher revenue targets and 86% are not very confident they can reach them. But the targets aren’t the only moving objects. With only 20% of sales people generating most of the revenue and long ramp-up times to get new ones up to speed1, effective sales performance management is more critical than ever before. Those who can’t quickly adapt strategies and successfully implement them, risk both the company and personal revenue loss – in other words, their jobs. With over 25 years in sales – 15 of those in sales management and 3 years in executive leadership, I’ve seen my share of sales failures and successes. In that time, I’ve learned that if you want to be a sales leader who can easily adjust plans and withstand a barrage of obstacles, you’ll need the support of a knowledgeable sales team, modern best practice processes, and technology. With this holistic approach, you can design the optimal plans and effectively implement them to drive performance. 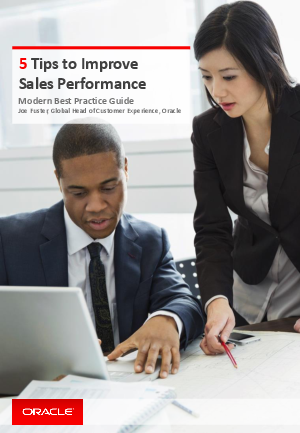 This brief will act as your roadmap with tips about how best to utilize people, processes, and technology to improve your company’s sales performance.